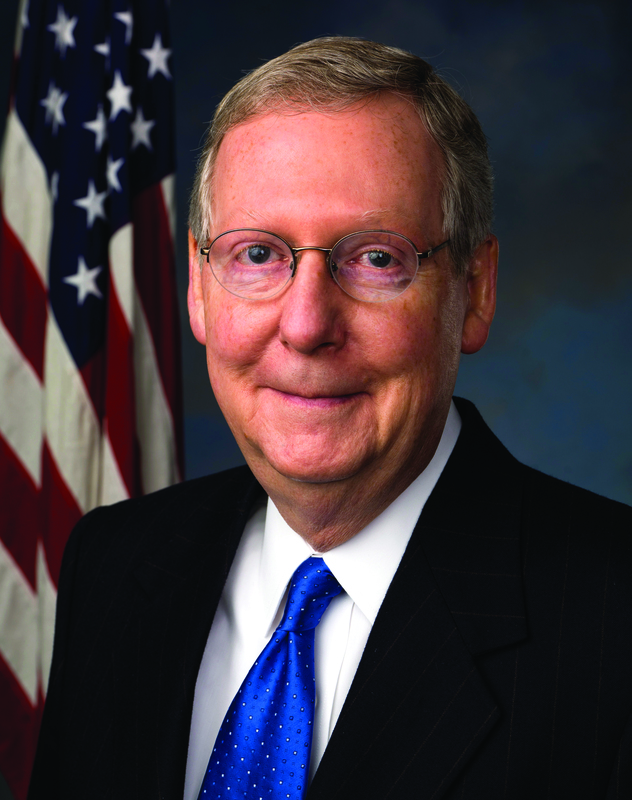 Last week in this publication, a student authored an opinion piece that unfairly criticized the leadership of Senate Majority Leader Mitch McConnell (R-KY). Instead of weighing McConnell’s full tenure at the helm of the United States Senate, the author focused on the Republicans’ refusal to consider Judge Merrick Garland for the United States Supreme Court. A fair look at McConnell’s record as the Majority Leader reveals that the notion of the 114th Congress not working is divorced from reality. The new Republican Senate has produced a large amount of bipartisan legislation to help Kentucky and the entire United States. For example, the 114th Congress negotiated an overhaul of No Child Left Behind that passed the Senate 85-12. Just this past week, the United States Senate passed bipartisan legislation named the Comprehensive Addiction and Recovery Act of 2016. This legislation addressed opioid and heroin abuse across the United States. As someone with friends and family that have been affected by drug abuse, like many of my fellow Kentuckians, I believe that McConnell deserves sincere thanks for his leadership on this critical issue. Unfortunately, the previous article criticized McConnell for “establishing an environment of ignorance and partisan division.” In my opinion, his efforts in the Senate to tackle critical issues facing our nation show just the opposite. McConnell pushed for bipartisan agreement wherever and whenever possible and should be commended for his efforts. His brief tenure as the Majority Leader offers a stark contrast to the near tyrannical rule of now-current Minority Leader Harry Reid (D-NV). In his near decade as Majority Leader, Senator Reid refused to lead the Senate to complete basic tasks such as passing a budget. In terms of divisive partisanship, Reid is the standard bearer. He led the maneuvering of Obamacare through the Senate by holding votes in the cover of darkness and, ironically, by using Senate rules for Budget votes to stifle debate on the 2,000+ page, multi-trillion dollar bill. I contend McConnell’s many legislative achievements this year clearly show that he deserves more credit than he’s been given. Indeed, he deserves considerable praise for leading the Senate back from an era of divisiveness that rivals anything witnessed in Washington in decades. Finally, if the other writer wants to discuss President Obama’s nomination to the Supreme Court, I would suggest that he look to history of Supreme Court nominations. In 1992, current Vice-President and former Chairman of the Senate Judiciary Committee, Joe Biden (D-DE), made strong statements from the Senate floor about rejecting potential nominees from a Republican president. Senator McConnell is merely employing the “Biden Rule,” a principle, which holds that the voters of the United States ought to have a voice in the selection of the next Supreme Court justice instead of confirming a nominee in a president’s final year in office. The question about this nomination is not about the characteristics or qualifications of Judge Garland. Instead, McConnell’s refusal to consider the judge is meant to give American citizens a vote! I support Senator McConnell and the power that he has given to the American people and my vote.